Honda at EICMA 2018 just surprised us with an announcement and introduced the Honda CRF450L Rally Concept. 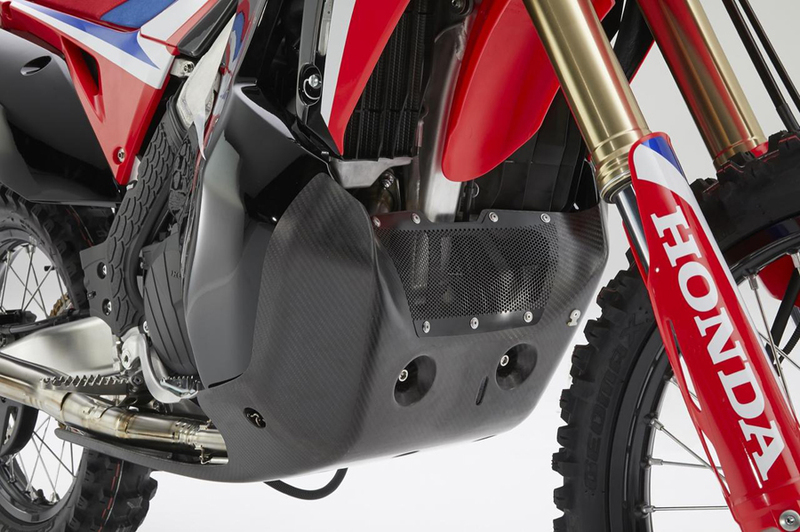 Details are very minimal at this point but from what is seen on the press photos, it looks like a street-legal replica of their Dakar Rally race machine which is based on the CRF450L dual sport. 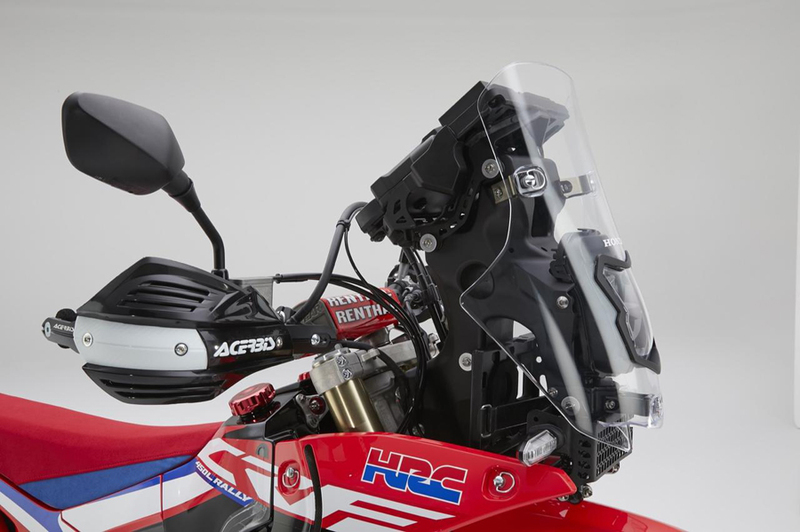 The CRF450L Rally Concept seems to be rocking led blinkers taken from the CRF450L and Africa Twin, street legal mirrors, Termignoni exhaust, a carbon fiber bash plate, big navigation tower, specially designed seating unit and some special hardware to keep the bike together. 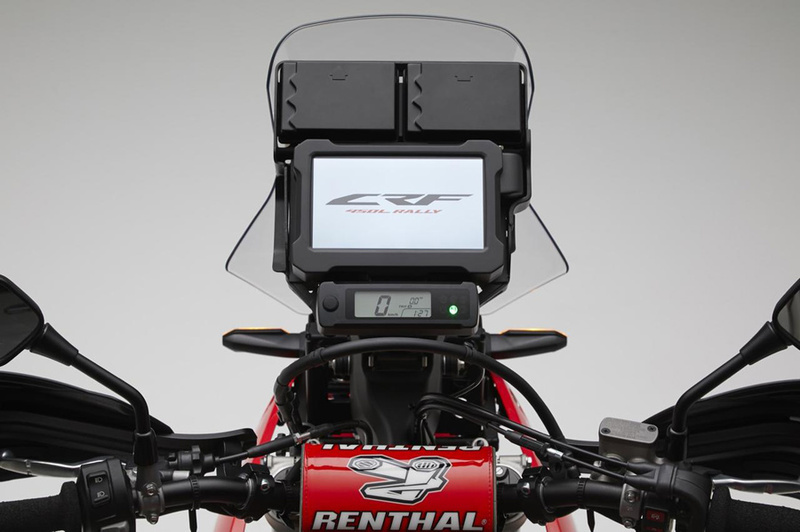 Honda CRF450L Rally Concept LED street legal signals. Honda isn’t new to the rally scene. Back in the late 1980s, Honda ran a machine called the Honda NXR-750 in the demanding Paris to Dakar Rally race and won four times. From the success of the Honda NXR-750, Honda created the Honda Africa Twin XRV750 which was sold around the world except the United States. What about the engine you ask? 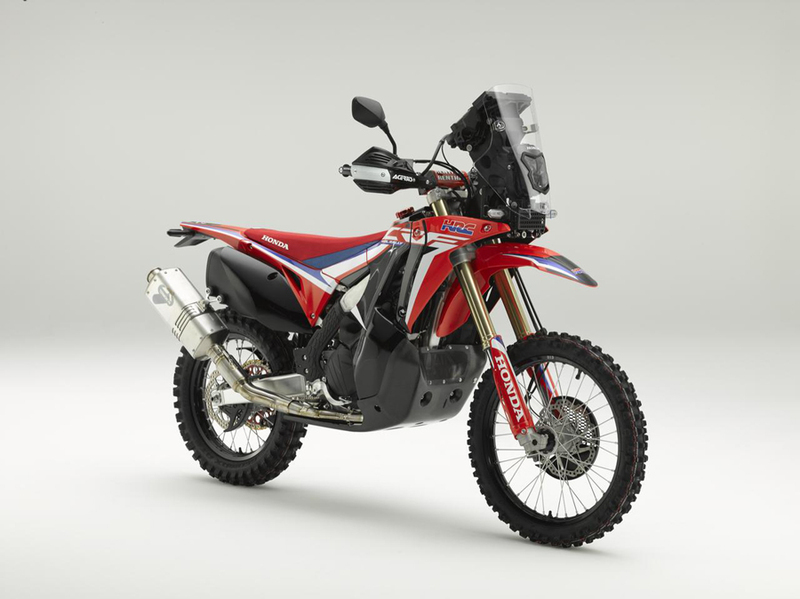 From my understanding, the CRF450L engine is considered a short service interval engine meaning that it requires a bit more maintenance attention and wouldn’t be ideal to travel long distances. 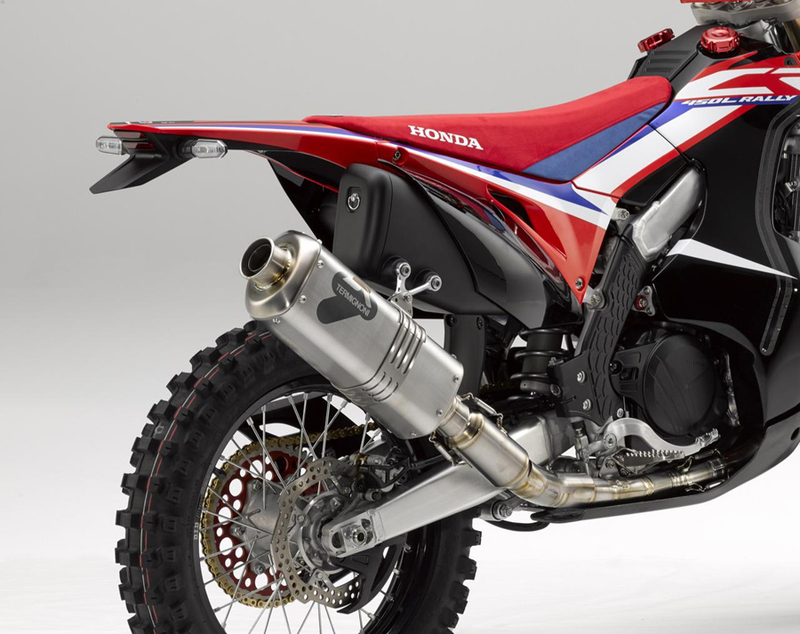 It would seem counter productive if Honda carried that similar engine into the CRF450L Rally because it seems like this could be machine designed to travel longer distances on and off pavement. Interesting machine for sure and we’ll be keeping an eye out for this. KTM also has a 450 Rally Replica available. All 75 limited production models have been reserved for a whopping price of $30,500. Price for the Honda CRF450L Rally has not been released. reckon the short service interval (1k oil change and 3k valve adjustment) will rule this out as a serious touring machine. but it is stunning! If the street intervals are street-like this would be a winner. I'd be willing to move from the CRF250L I have to this bike.